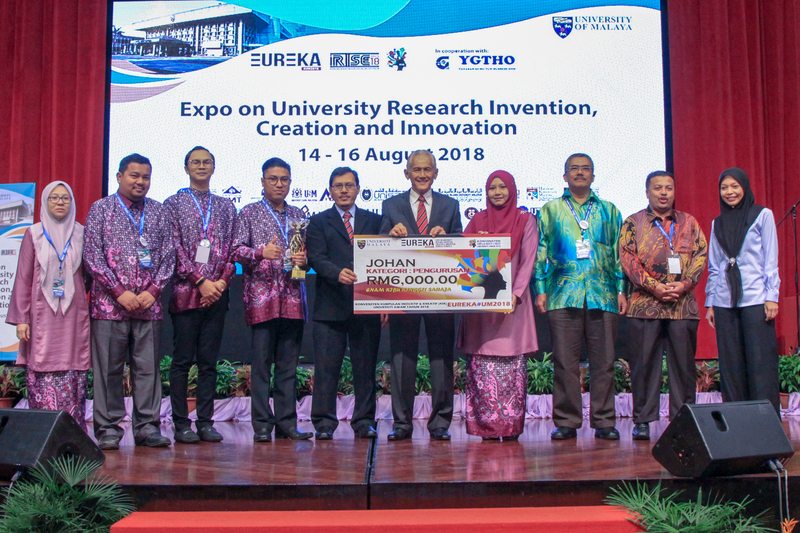 As hosts for the 14th Public Universities Creative and Innovative Circle (KIK) Convention 2018, the University of Malaya (UM) has successfully organised EUREKA #UM2018 in a bold new concept by incorporating the convention with exhibitions and presentations of research projects related to innovation, creativity and discoveries. 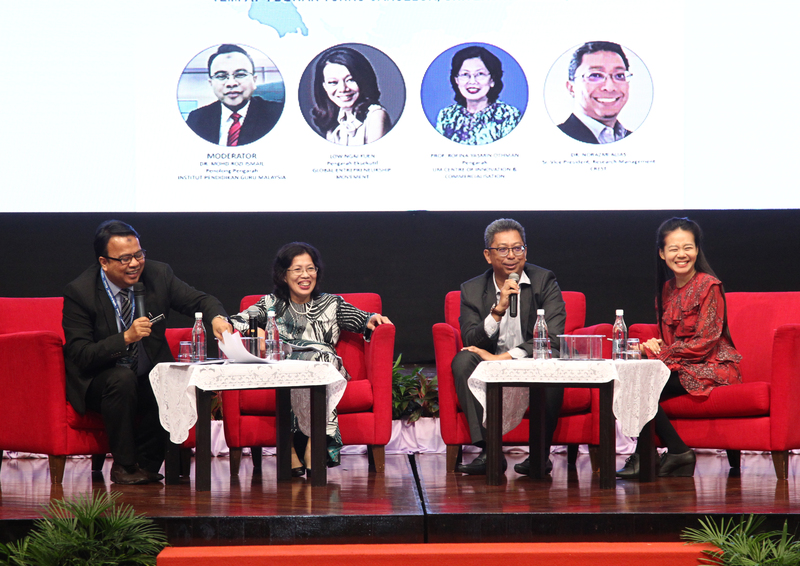 In collaboration with Yayasan Guru Tun Hussein Onn (YGTHO) and Institut Pendidikan Guru Malaysia (IPGM), the programme was held from 14 to 16 August 2018 at the Dewan Tunku Canselor, UM. 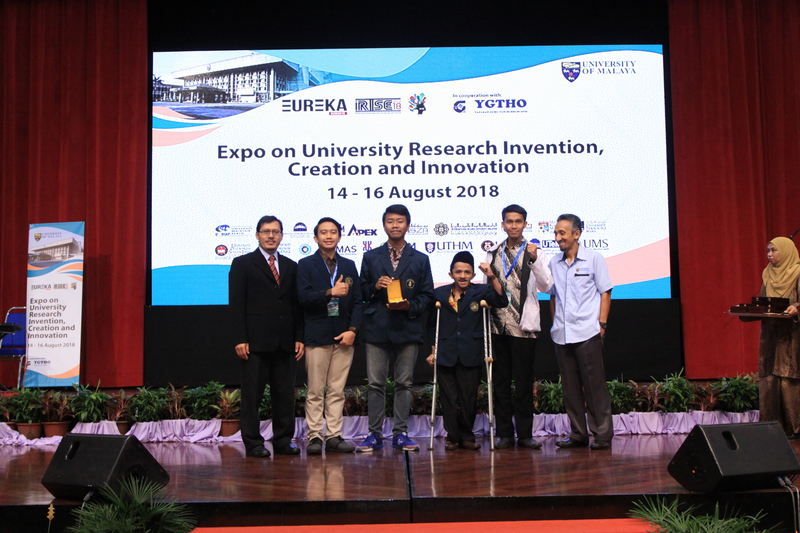 EUREKA #UM2018 comprised two parts which were, the Creative & Innovative Circle (KIK) Convention with 37 participations, and the International Research Innovation Invention Solution Exposition (i-RIISE) with 150 participations. 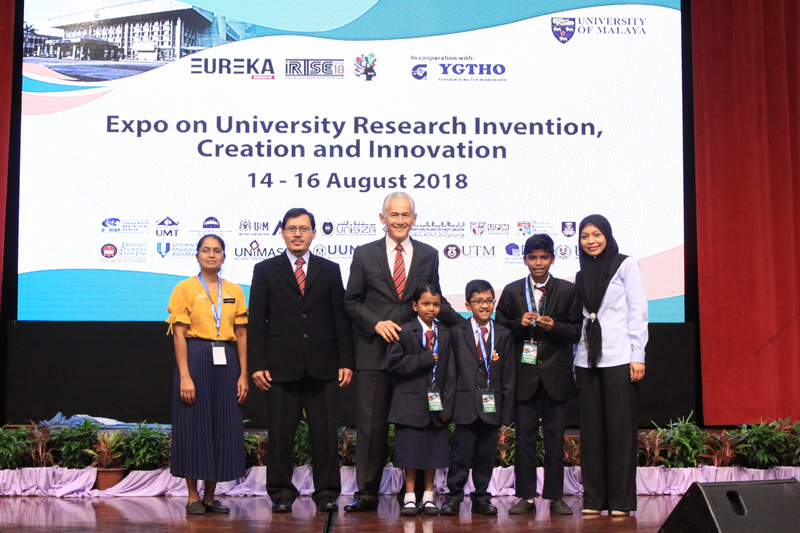 Overall, the event has attracted approximately 1,300 participants comprising students, researchers and professionals from across Malaysia and overseas. Participation in KIK was exclusively for public universities, while i-RIISE was open to educational institutions of all levels, from schools (primary and secondary) and institutions of higher education (polytechnics, community colleges, etc.) to universities (public and private). Aside from that, a forum entitled "IR 4.0 Dalam Agenda Pendidikan Mapan: Cabaran dan Halatuju” was also held on the second day of programme. The forum featured panelists – Professor Dr. Rofina Yasmin Othman from University of Malaya Centre of Innovation and Commercialization (UMCIC), Mr. Norazmi Alias from Collaborative Research in Engineering Science and Technology (CREST) Center, and Madam Low Ngai Yuen from the Global Entrepeneurship Movement Malaysia (GEM). 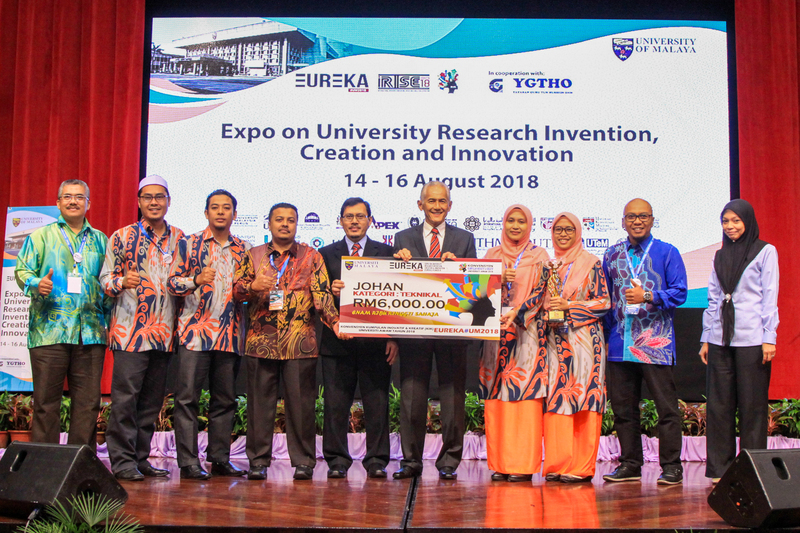 To enhance the visibility and branding of the University of Malaya as a leader in high-quality research, innovation and higher education in line with the image of a research university.